Product information "Crocband Clog Kids Navy / Volt Green Croslite"
A sporty racing stripe adds a pop of color to our iconic clogs. Made with lightweight, durable Croslite material, the contoured footbeds and outsoles deliver incredible comfort and support for whatever the day has in store. Iconic Crocs Comfort: Lightweight. Flexible. 360-degree comfort. 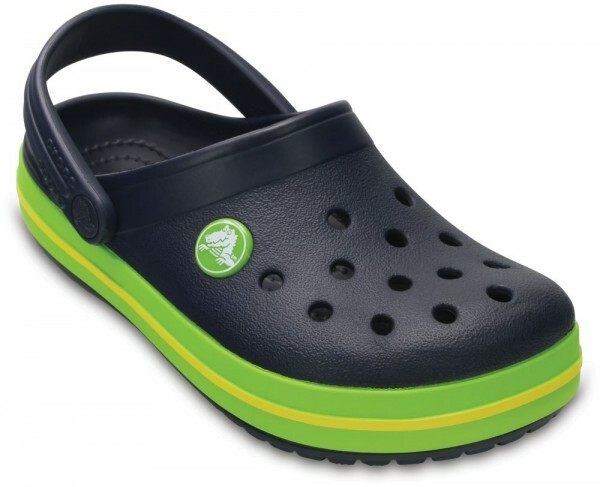 Related links to "Crocband Clog Kids Navy / Volt Green Croslite"
Customer evaluation for "Crocband Clog Kids Navy / Volt Green Croslite"